By Anita Chang Beattie . Published on December 07, 2012. 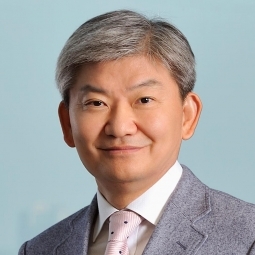 South Korean agency company Cheil Worldwide has named Samsung's top advertising executive Daiki Lim as its president and CEO. He succeeds Nack-hoi Kim, who is retiring. Cheil started as the in-house advertising agency for Samsung, and the companies remain closely intertwined, with Samsung holding a minority stake in Cheil. Mr. Lim, who most recently was in charge of advertising and communications as lead VP-corporate strategy at Samsung Group, had worked 12 years at Cheil Worldwide, the company said. Mr. Lim is scheduled to address employees on Monday to outline his ambitions for the company but his plans are expected to hew closely to those of his predecessor. In recent years, Cheil has tried to grow its operations in emerging markets such as China and India. Cheil is also trying to bulk up its presence in the West, led by Wieden & Kennedy veteran Buz Sawyer as president-CEO of Cheil Americas. Earlier this year the company acquired Durham, N.C.-based McKinney for an estimated $50 million. Cheil is the 16th largest agency company in the world, with worldwide revenue of $461 million in 2011, according to the Ad Age DataCenter's ranking of top agency companies. Most of Cheil's revenue -- $430 million -- was outside the U.S. In another move, Jeongkeun Yoo was promoted to executive VP from VP at Cheil Worldwide. A longtime account planner, Mr. Yoo helped lead OB Beer to its leading position in the Korean market, Cheil said.